Vials are available in 10 ml, 20ml fills, packed in convenient trays, complete with relevant safety material safety data sheet. They are batch numbered for extra security. 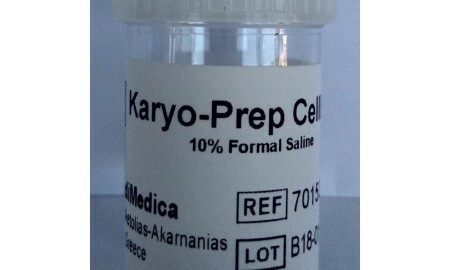 The KaryoPrep CellBox eliminates the possibility of leakage during transport, giving laboratories the peace of mind that a sample will reach its destination safely and correctly fixed.